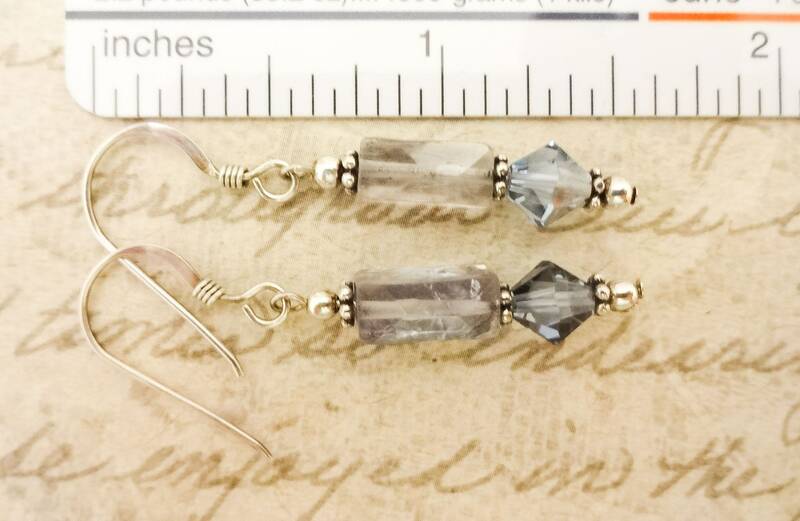 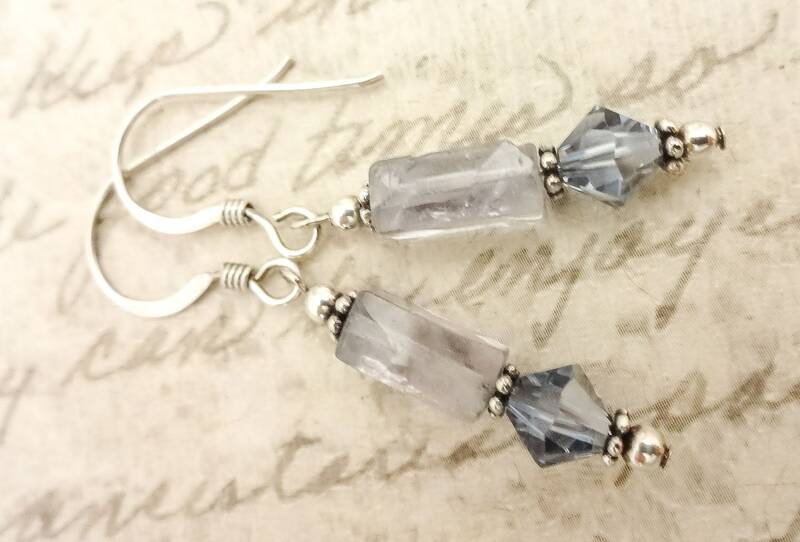 These faceted Iolite rectangles are a soft watered down blue. 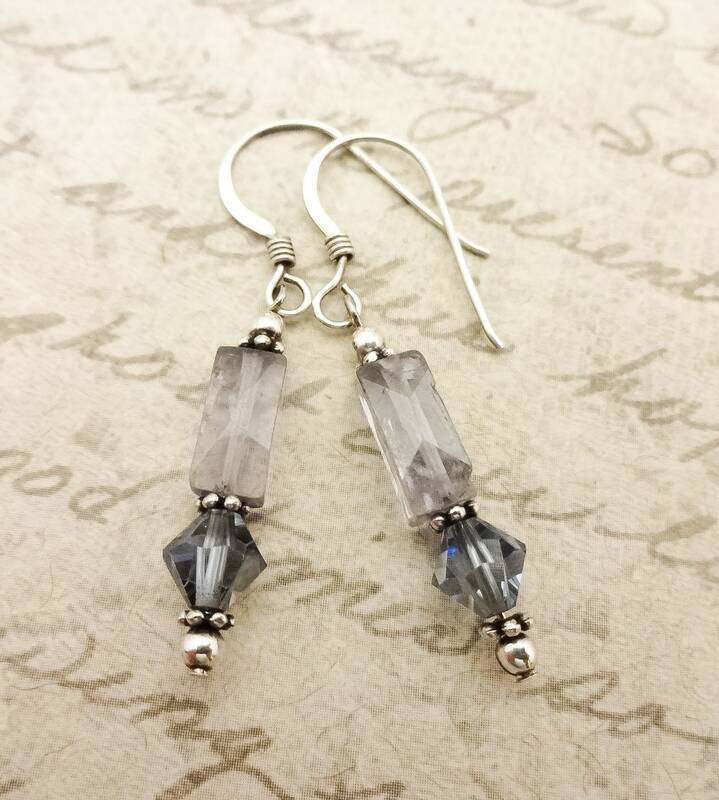 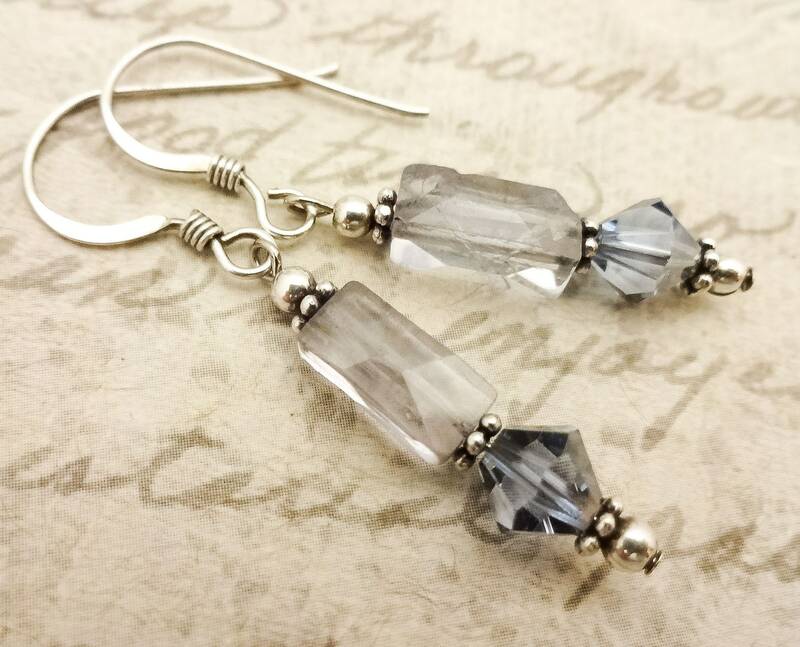 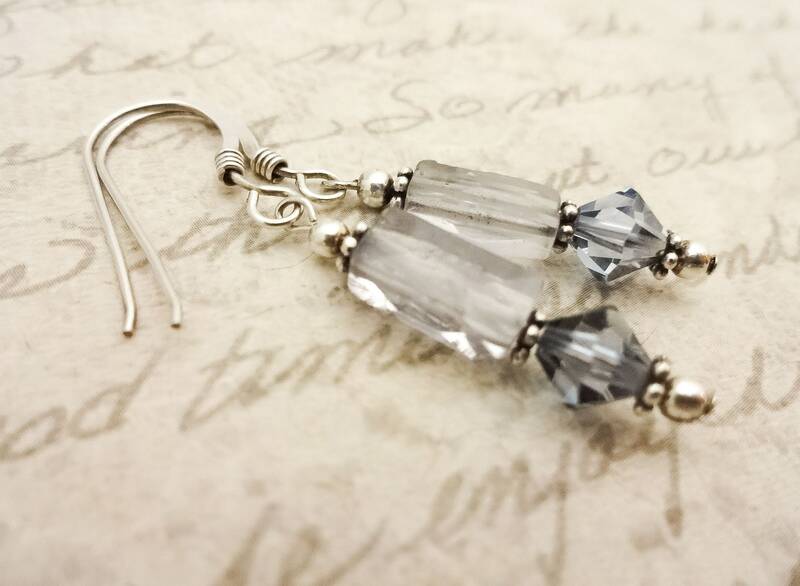 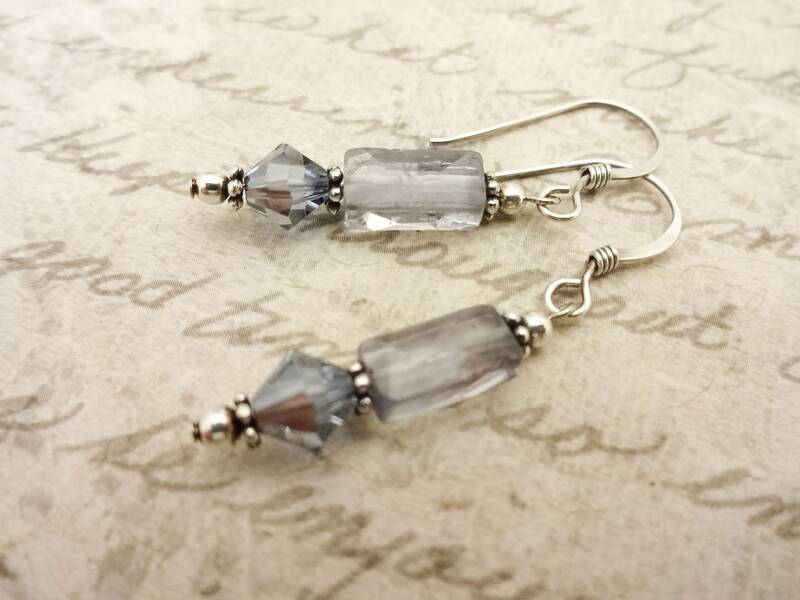 I paired them with pale blue Swarovski crystal bicones for a minimalist look. 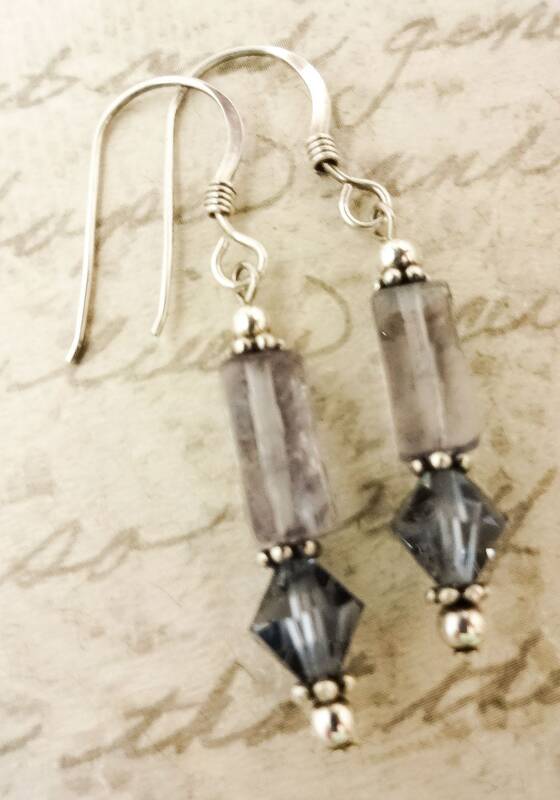 Three Sterling Silver daisy spacers and two 2.5 mm Sterling Silver balls add the finishing touch.